Our Useful Shape Printables come in 10 sizes and colours, or in black and white. If the largest shape is 100%, the next shape down is 90% and so on down to 10% for the smallest. We have circles, triangles, squares, rectangles, rhombuses, pentagons, hexagons, heptagons and octagons to choose from. We've come up with lots of ideas for using them below. sort a mixture of shapes by colour and shape using our shape sorting mats. Choose an appropriate number of shapes (eg for Nursery children, use circles, squares and triangles; for Year 1 children, use circles, squares, triangles, rectangles and perhaps semi-circles). make a file folder game by gluing the black and white circles onto the inside of a file folder and asking the children to match each colour circle up with its partner. print onto white card and cut out some of the larger sizes. Give younger children shapes to colour in, or perhaps fill with straight lines for pencil control practise. print onto white card and cut out the largest size. Feel and count the sides and vertices of each shape and then write the name of the shape on it. 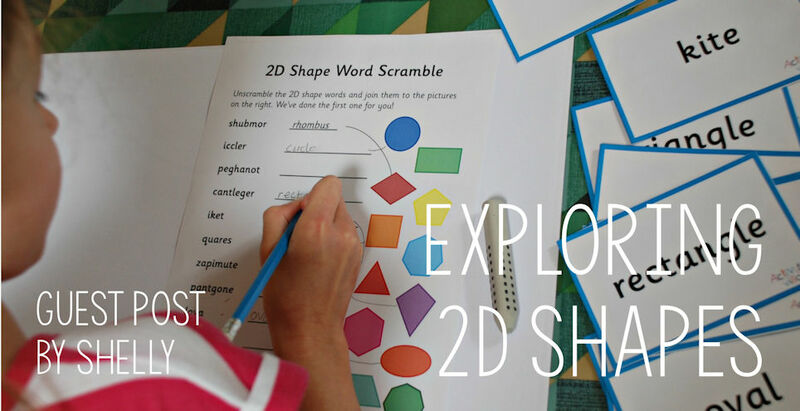 This cube net printable is the perfect hands-on way to learn about this 3D shape! Choose from our pre-coloured or plain white versions, then print onto card, cut out and stick together by glueing the flaps. Our cuboid net is perfect if you're introducing the concept of 3D shapes. Choose from either our ready-coloured or plain white versions below, print onto some card, cut out then stick together by glueing the flaps. Also great for craft projects! Learn how a pyramid is formed with the help of this pyramid net printable. 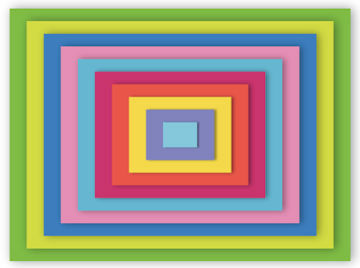 Print onto some card, cut out, then glue the flaps together to make a 3D pyramid. Choose from two versions below: blank, or ready coloured in bright yellow.